Description Terrorists Dr Z using the developed chemical and biological weapons, the spiders, mosquitoes, bugs etc.launched an attack on human... Players will play a counter-terrorism special action team - biological warfare swat, stick to a bridge, to block out the variation of insect moved to the city. 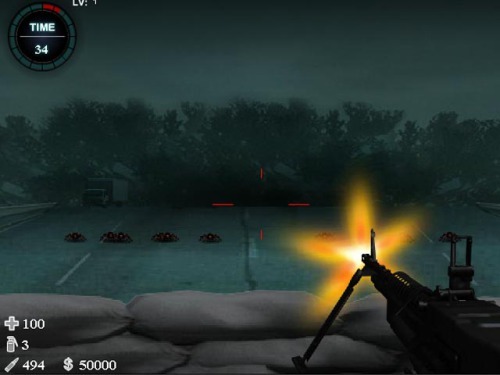 In the game, players can attack with axes, grenades, machine guns to shoot bugs;The axe can only attack worm near,hand grenades is powerful,when the machine is in use, should pay attention to cease fire, thus make the barrel cool...After the battle to buy medicine bag,all kinds of machine gun and good weapons. Controls In battle, use the mouseto aim and shoot 123 button toswitch weapons.